MerchantPlus is a merchant account solutions and credit card processing software. Its features include foreign currency conversion and international payments processing, virtual terminals, custom reports, automated alerts, and system integrations. In this article, we cover user reviews and pricing. Ready to get started with MerchantPlus? Visit their website. As of the date this article was written (11/27/18), there are no user reviews of MerchantPlus online. If you are a past or current MerchantPlus customer, leave a review to help other business owners who are deciding whether or not to use the software. MerchantPlus offers two subscription plans: Advanced ($30/month + 0.30% above interchange fees + $0.30 per transaction) and Enterprise ($299/month + 0.30% above interchange fees + $0.30 per transaction). The main differences between the plans include multi-currency transactions, international merchant accounts, volume-based rates, and dedicated support. Ready to get started with MerchantPlus? Visit their website. Top 6 Merchant Services Providers for Small Business — Choosing the best merchant services provider for your unique needs depends on many factors. In this guide, we reviewed 6 top-rated merchant services providers and examined the differences in plans, prices, and other key service features. How does MerchantPlus guarantee the most ideal card processing rates for merchants? MerchantPlus has a feature called RateAssure that bases rates on the users’ average monthly processing volumes. The users start at a 30-basis point cost on the interchange, which could be lowered as they continue to process more transactions. Can users get training on how to use the software? Yes. 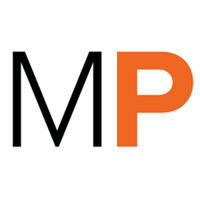 MerchantPlus offers a lot of documentation and articles on the website, as well as free webinars. Not sure if MerchantPlus is the right fit for you? Read our reviews of all top merchant services providers.